Rode NT Review - The Best USB Condenser Mic for Singing? 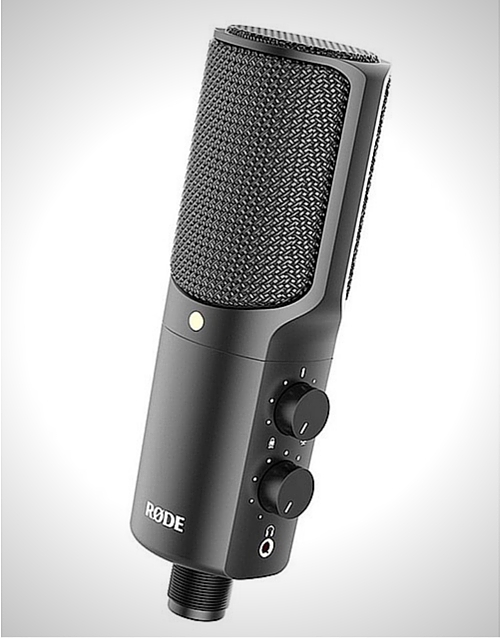 The Best USB Condenser Mic for Singers…Could Be The Rode NT-USB. The Rode NT USB Microphone is ideal for a myriad of uses and all of them are good. Studio quality and versatile the Rode NT is easily in the running for the best USB condenser mic for your money. USB microphones have different uses but these days, people look for a multi-purpose USB microphone that specializes in video recording, sound recording, and podcasting. There are two types of USB microphones namely, dynamic for noisy places and condenser for quieter places. The Rode NT-USB Microphone is a condenser type that is designed to deliver clear and solid sound for any kind of music or instrument recording. With this mic in hand, an amateur vocalist or a musician recording an album does not have to invest in a soundboard or a recording studio. Rode microphones are the favorites of many, while its NT series have become the brand new part of the USB mic world. This one is a studio-grade model with a few robust features for pleasing quality for the price at which it is available, which even beats some of its competitors. 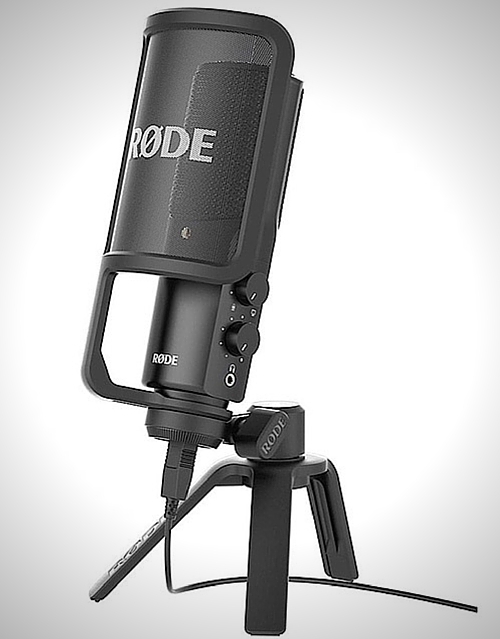 Of all the vocals, the Rode microphones are considered ideal for rap and singing vocals through a USB connection. Why You Should Consider the Rode NT-USB Microphone. This microphone is a comprehensive unit to make you start recording out of the box. Whether it is for recording instruments, vocals, or a voiceover, the mic’s USB connectivity and included AD convertor make you do your job easily as well as quickly. The mic comes with other essentials for set up, including a stand mount, desktop tripod base, USB cable, pop filter, and a padded case. The premium pop filter sits easily onto the mic’s base for ideal positioning to reduce the nasty sounds. The tripod base allows raising the mic a few inches from the floor level and keeping it straight. It is actually a hassle at times to shop for all that you require for your mic system but with these essentials already added in this pack, you are ensured of two benefits: Money savings and no confusion. It’s these added features that really make difference. This mic from Rode is compatible with iOS, Windows 8, and Mac OS X and works on them through a simple plug-n-play mechanism. This cross-platform compatibility due to USB enables this device to be your most versatile solution for recording music. 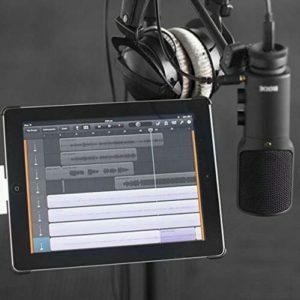 The microphone is also compatible with all mainstream applications for recording, including the GarageBand running on iPad and other application accepting an outside mic. Although this is not a necessity, it is surely appealing to those looking for an iOS setup. The mic comes with mix controls with the help of which you can swiftly change the sound quality as well as locate the best level as per your requirements. Its Cardioid condenser working at 16-bit/48 kHz resolution allows you to pick up vocals and acoustic instruments perfectly. With the pop filter, a vocalist can secure those high notes, spurt verses, and yell the lyrics without bothering about any kind of distortion. With the built-in 1/8″ stereo headphone jack and its amplifier, you can enjoy monitoring the recordings in real time with zero latency. Yes! You can hear as you record with the help of jack. There are also dials for adjusting the level of monitoring as well as selecting between the source input and microphone input for monitoring. You are ensured that what you hear is in sync with what you play. This microphone is not for those who are taking their recording more seriously and, therefore, wish to choose a semi-pro or pro studio. For such professionals, an industry standard setup is required, including an audio interface and a condenser mic with XLR input. This one is without an XLR port due to which you will be unable to carry it to a concert or use with a soundboard. If you’ve got plans for going to a pro studio and are looking for a microphone to take with you you should consider the Audio Technica AT2035 . Or if live performance is on the horizon consider “cutting the cord” and checking out the Sennhieser XSW-52B Wireless System . With over 100 fantastic reviews on Amazon you know you’re making the right decision if you choose the Rode NT USB Microphone. Another bonus is that Amazon has package specials from time to time that can bring even more value to your purchase. 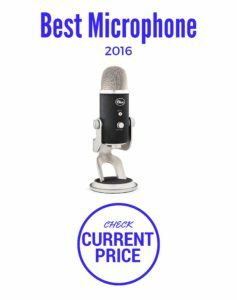 Definitely worth checking out making the best USB condenser mic value pick even better. Consider this mic for hassle-free recording of acoustic instruments and vocals in a home studio. This model is ideally designed for home musicians. It is a fact that its tripod is practically too small and that its quality of recording is fairly average. Further, this mic may seem to be costlier than several other comparable music microphones. However, despite the cons the Rode NT-USB is an ideal choice for both musicians and vocalists who are happy to have its results at home, especially those who are beginners who do not wish to invest in audio interface and upscale condenser mic.